December 2014 – Have You Tried Walking Lately? Let me begin with the fact that it cannot possibly be Christmas again. What is it about growing up and pretending to be an adult that makes time go so frightfully quickly, that it is impossible to wind one’s head around the realisation that twelve months have slipped under my consciousness and just disappeared. When I was a child, each Christmas felt like an eternity away and time never went quick enough. So here we are at Christmas again. Another rushed few weeks leading up to it, stressing about what I want to buy for my nearest and dearest, wondering how much is appropriate to spend, stressing about how much there is to do and being frustrated at not being able to do enough of it myself. I am currently suffering the consequences of trying to wrap presents independently, and it comes in the form of a missing piece of skin on my lip from battling with the Sellotape. It is one of those tiny things that HURTS and I can’t stop nibbling it with my teeth, making it worse in the process. It is also quite hard to distinguish whether a gift has been wrapped by me or my youngest daughter. Then there’s the wondering which clothing I can wear on Christmas day which is smart enough to personally feel like I’ve made an effort but comfortable and practical enough to suit being sat down in a chair all day and needing to access one’s bosom to breastfeed a tired and grumpy 15 month old whom has eaten one too many savoury snacks. My next Christmas conundrum is whether or not to engage in alcohol consumption and if so, how much? I have self-diagnosed as a complete lightweight these days. My mum and surrogate mum (mum’s friend) came to visit recently and I had almost two glasses of wine and felt like I couldn’t talk quite properly. I’m inclined to blame my lack of circulation and lack of movement as the cause of my alcohol tolerance level being lower than that of most adults my age. So it’s probably best that I stick to only drinking with Christmas dinner, but in all honesty it doesn’t bother me at all. I don’t need alcohol to have fun and enjoy Christmas with my family. At least I’m a cheap date. My next worry is how many fingers and thumbs I might dislocate unwrapping presents. I have recently started employing Amélie as my official present unwrapper, much to her delight. It’s easier than instructing people to only use the saliva of a newborn fairy as an alternative gentle gift wrap adhesive. And gift bags just don’t have the same level of “eek!” as trying to force my way under super strength tape and luxury Waitrose wrapping paper. There are times on most Christmas days where I will inevitably feel a bit like a ‘Nana in her armchair’, sitting around and verbally try to control my children’s hyperactivity whilst everyone else is milling around sorting Christmas nibbles, bucks fizz and assorted poultry. Even my own Gran doesn’t fulfill the stereotype. I keep thinking that at some point I’ll bloom into some sort of domestic goddess, hosting Christmas, letting Tom sit and drink Christmas ale and not worry about household chores, and refusing people entry into my kitchen for fear that they’ll be under my feet. I would love to be THAT kind of mum one day, the mum like my own, who made my childhood Christmas days magical and full of enjoying each other and the food and the gifts and ripped paper everywhere and everything else that Christmas is. I want to be THAT mum for my children and my children’s children. But at the same time, I want to go back to being a child and being given that kind of Christmas experience. Woolworths and not Amazon. The Pogues and not X Factor. This year I’m looking forward to my mum’s cooking, my stepdad being sentimental and telling questionable jokes, my girls’ faces on Christmas morning and when they’re opening presents, my dad and stepmum in general knowledge themed domestics as we play ridiculously long-winded board games and enjoy good cheese, my sisters’ inevitable a-capella performances in the evening, and falling asleep on Tom’s arm after a long day that again, went way too quickly. 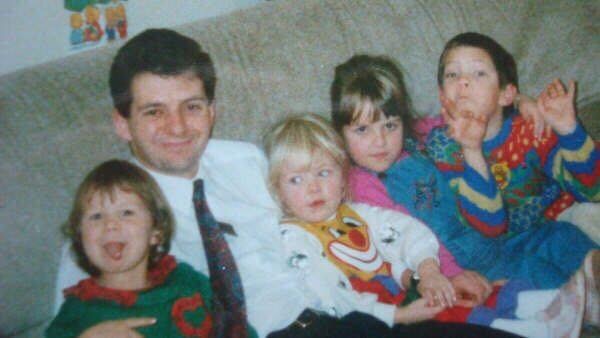 Christmas as a little girl with my brother and cousins. I’m the one being really camera shy on the left. 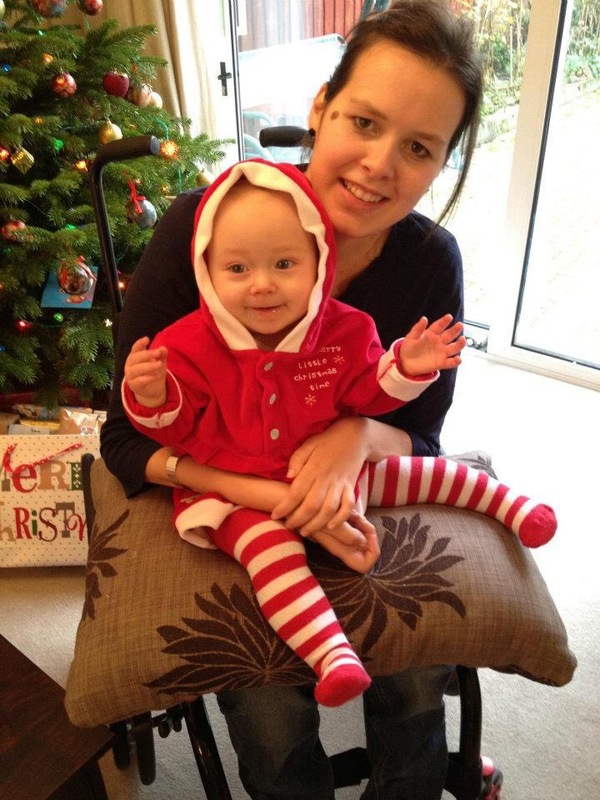 My first Christmas as a mum. 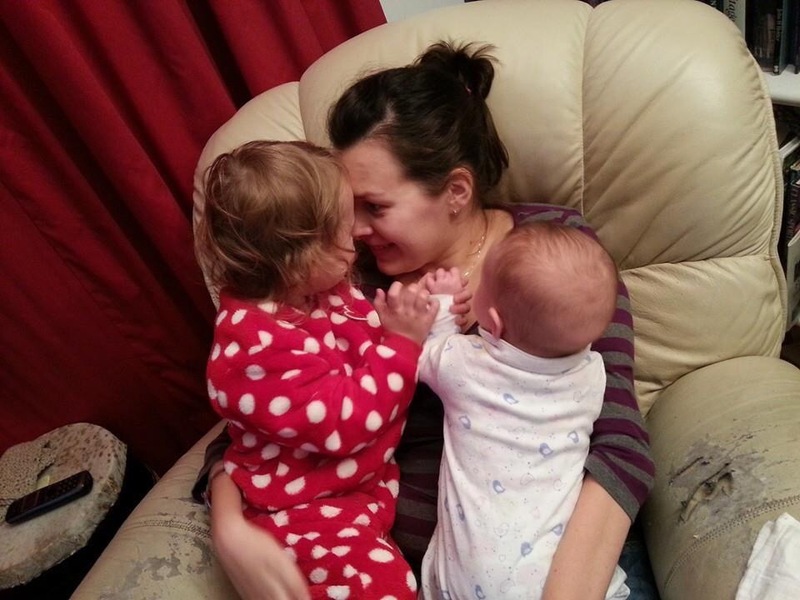 My first Christmas as a mum of two. 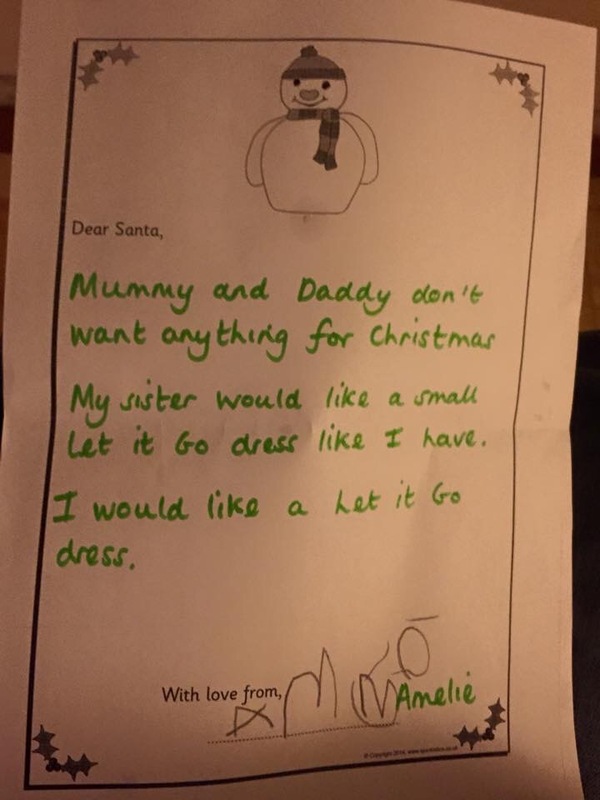 Amélie’s idea of a perfect Christmas. And finally, this. 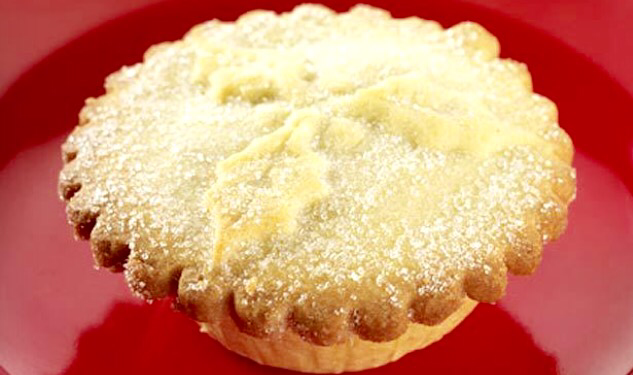 Because this is the first year I’ve entertained the idea of the mince pie..
It’s surprisingly not too often these days that I find myself in a situation with others where I cannot access something that everyone else is. And by access I mean to reach and enjoy the areas of something or somewhere the same as the other people I’m with. Don’t get me wrong, even the most ‘accessible’ of places still have their limitations to me but that is usually due to my own personal physical difficulties. After all, nothing can be exactly right and accessible to everyone with any form of disability or hindrance. So, as it doesn’t happen too often nowadays, when I am expecting to be able to experience something and immediately get hit with a ‘sorry, no can do’ issue, it leaves me a bit shell-shocked. Not massively like clamshell shocked, more periwinkle-disgruntled as to why I’m not allowed to do something. It just reaffirms that nothing is ever just easy. Today I thought we’d attempt to try out a local public attraction, a little place called Babbacombe Model Village. I remember going to something similar as a child in Cornwall and loving it, and because my eldest daughter is very much into fantasy-fairy-tale type play. I thought she’d love somewhere like that. I wasn’t wrong, she loved it, all of it. Even the fire-breathing dragon which made her jump. I just didn’t get to experience any of it with her. I didn’t realise before we went, that the attraction was on a tiered surface with steep ramps and steps. I guess when it opened in 1963 the developers didn’t need to worry about such a need for access, as most disableds were comfortably nestled in the confines of children’s homes, safely out of the way of the public wanting to enjoy the weekends with their able-bodied children. Hmm. I didn’t realise quite how bitter I can be. I know you’re probably all thinking “well what do you expect them to be able to do about it?” and I have indeed thought that through. Close the attraction, flatten it, and start again. There are people LIVING in a tin-can with wings in Earth’s orbit, what can be so hard about a little re-landscaping? Anyway. I didn’t think it was fair to disappoint Amélie (she can get quite verbally vicious that girl), purely because of my own misfortune, so I watched Tom and the girls from a terrace above, which the reception lady ensured me in her broadest Devonshire accent, was ‘really good’. It was REALLY REALLY GOOD. As far as terraces go when you’re pissed off and watching your people have fun and you can’t. It was definitely the MOST AMAZING terrace I’ve ever been on. It had empty picnic tables and everything. So off I went to the cafe to have an inevitably lonesome cup of tea. I indulged in some delightful flapjack and had to ask the 12-year-old-looking boy at the till to pour my tea. I hadn’t remembered that I can’t pour my own tea. AND, my phone battery had died so I had to just sit there, drinking tea and eating flapjack with just my own thoughts to scroll through.